Simon Procter (1968- ) was born in Lancashire, Northern England, and raised in a small mining and industrial village in Yorkshire. He has studied fine art for many years, originally focusing on both painting and sculpture, and holds a B.A. Honors degree in Fine Art from Trent University, UK. He moved to Paris in the late ‘90s and, while doing a variety of odd jobs in the city, met one of the associates at Visionaire. 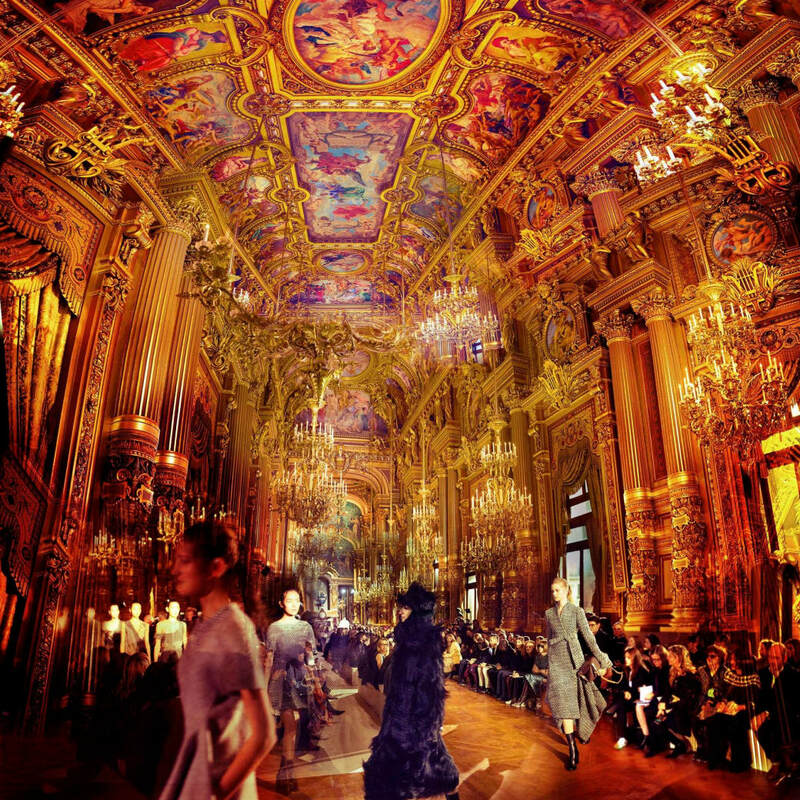 Thereafter, Procter took up photography and used his unique fine art aesthetic to develop a photographic technique that captures and documents the grand scale of a fashion show and the architectural space in which it takes place. This synthesis of fashion photography and classical painting distinguishes Procter’s work. His first fashion photography endeavor was shooting a Dior show from 100 feet above the runway. The resulting images were published in two major stories in V Magazine and exhibited at Colette, with a sponsorship by both Armani and Prada. Within a year, Procter shot an international Nike. His photography has been featured in V Magazine, Vogue Nippon, Harper’s Bazaar and The New York Times and is held in gallery and museum collections worldwide. In addition, he has produced works for The Boston Museum of Fine Art, Nokia, Marriot Hotels, Adidas Y-3, L’Oréal Paris, Christian Dior, Armani, Chanel, Stella McCartney and many others.